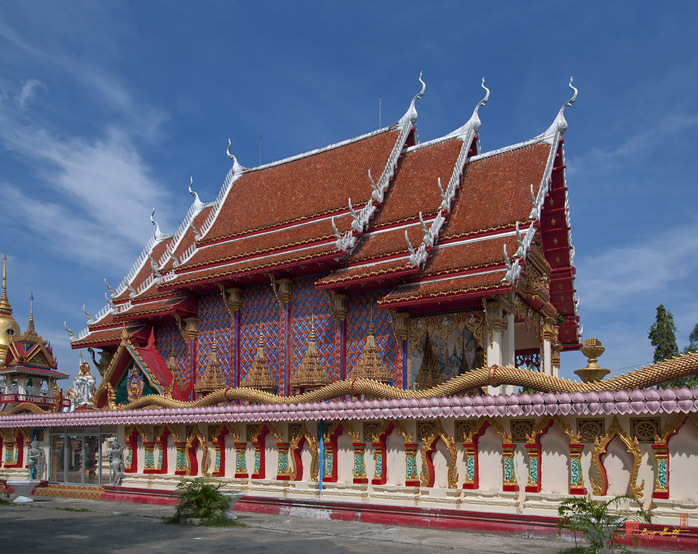 Wat Phra Nang Sang, วัดพระนางสร้าง, is located in Thep Krasattri (เทพกระษัตรี), Tha Lang (ถลาง), Phuket (ถูเก็ต), Thailand. 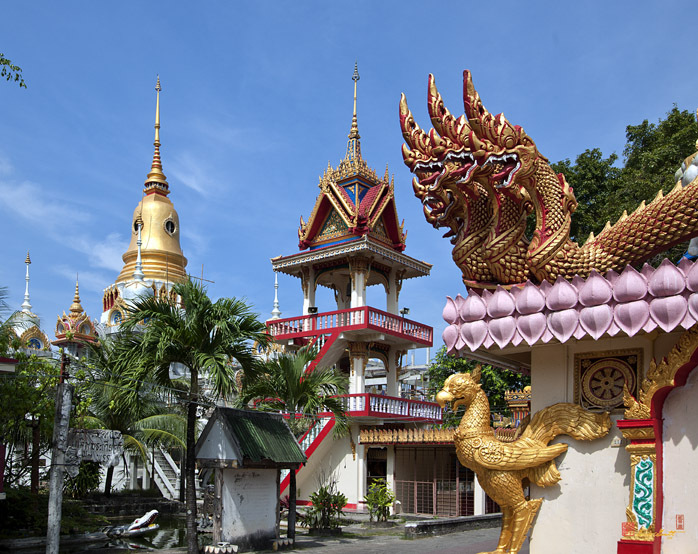 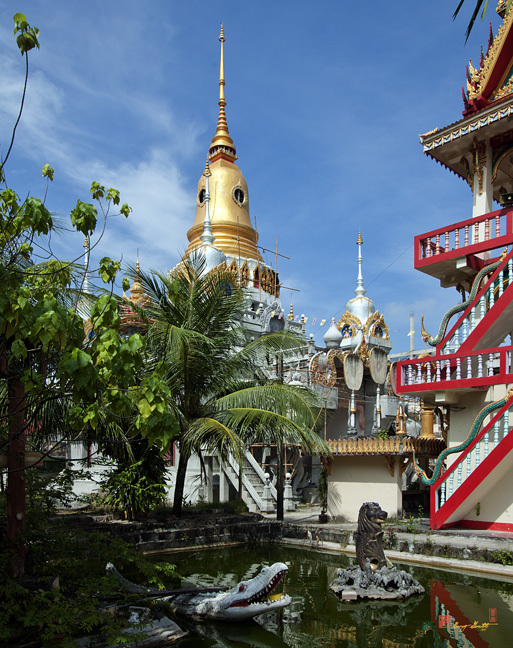 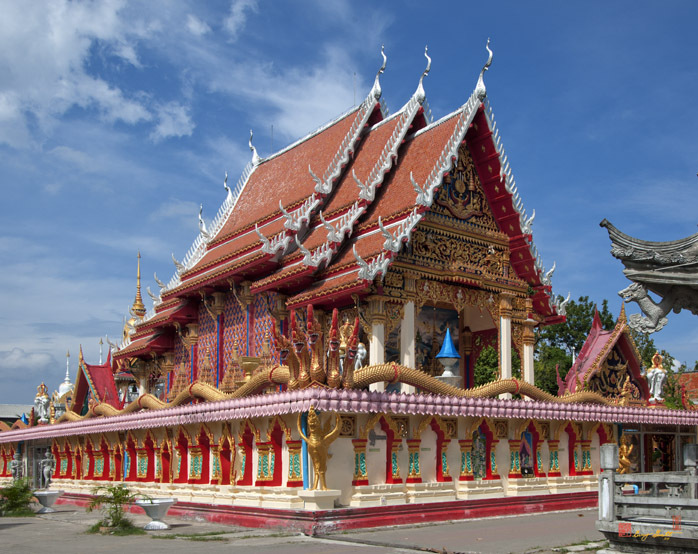 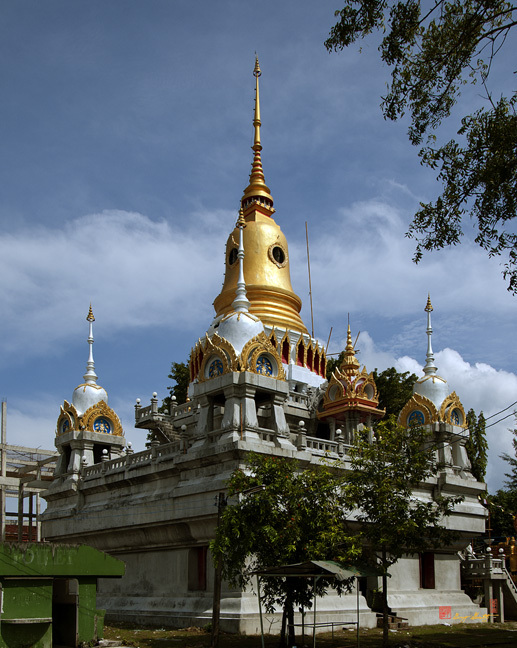 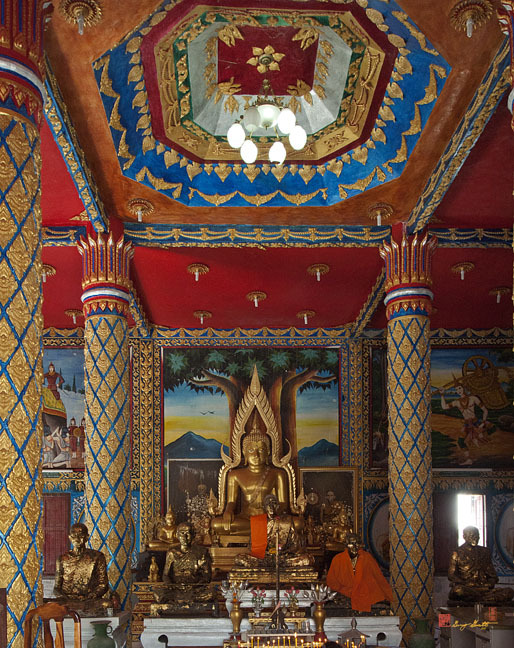 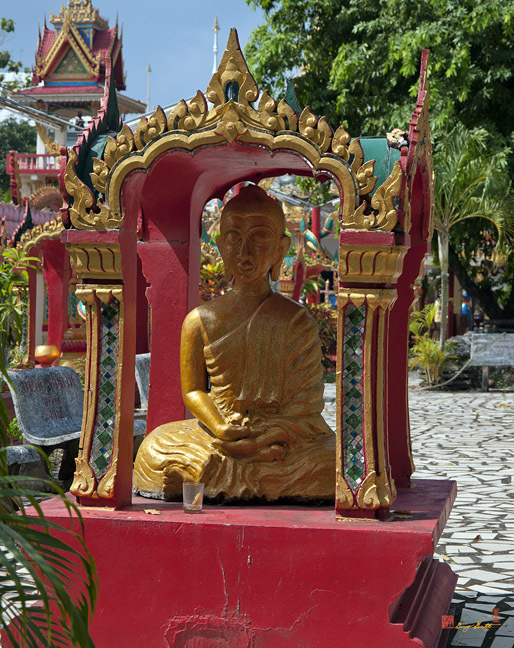 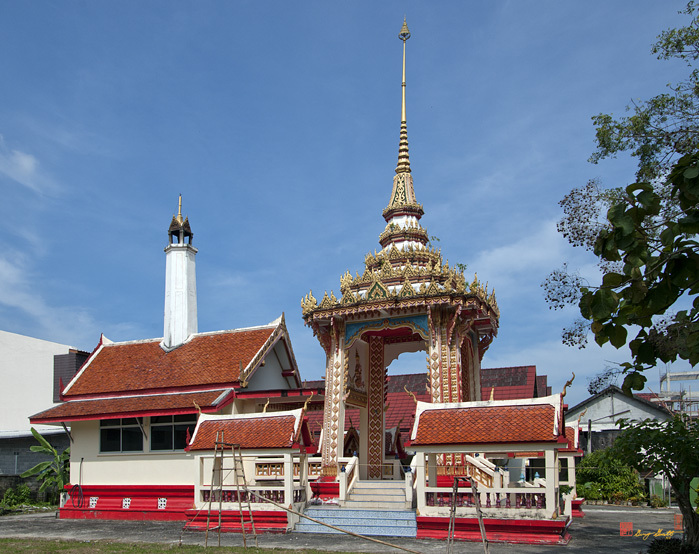 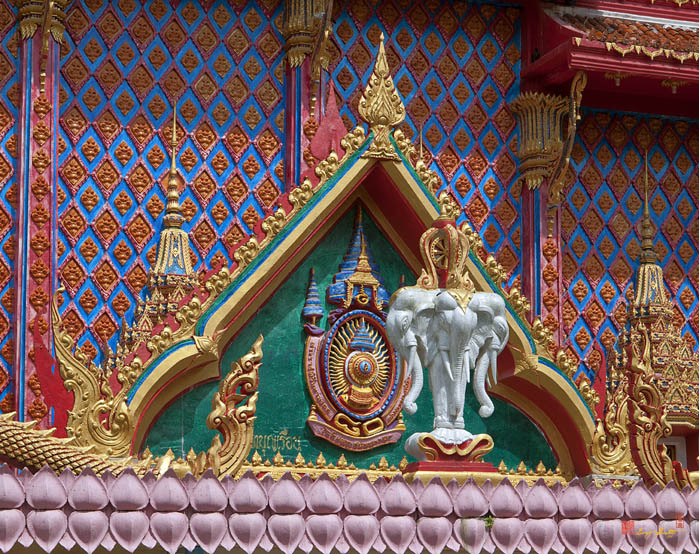 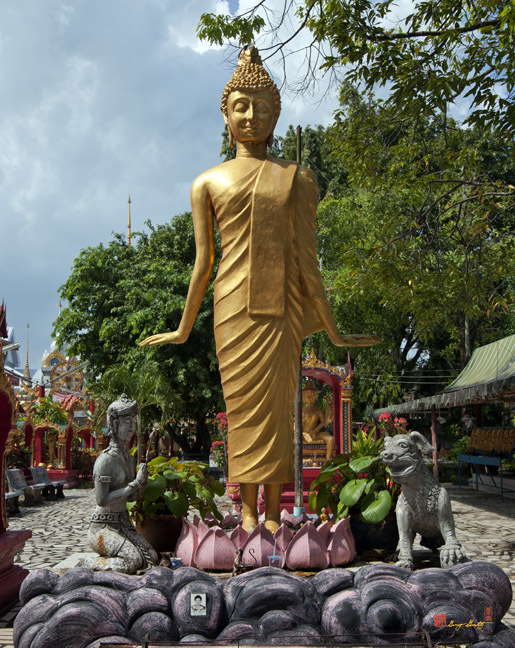 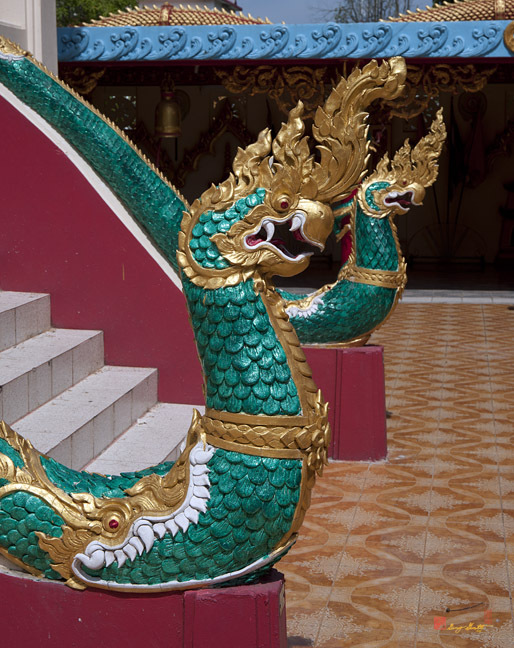 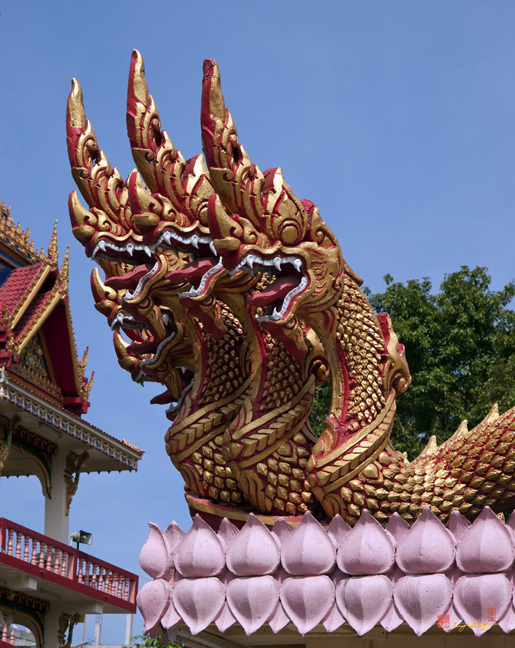 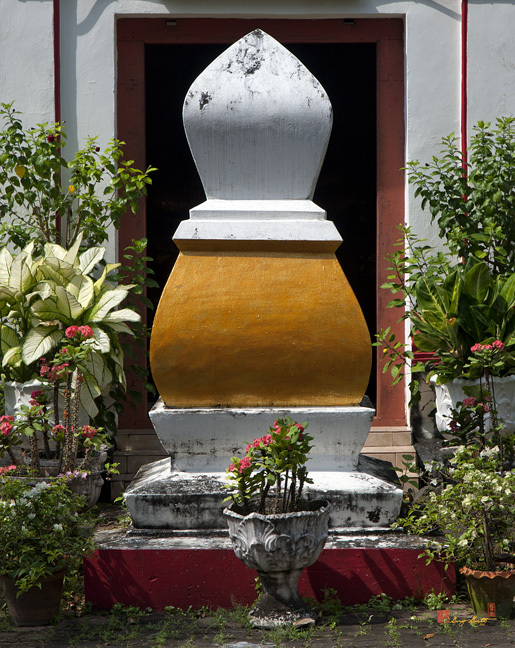 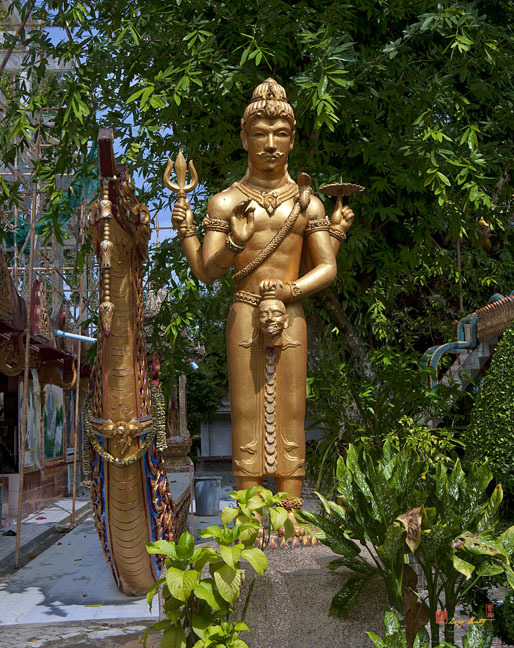 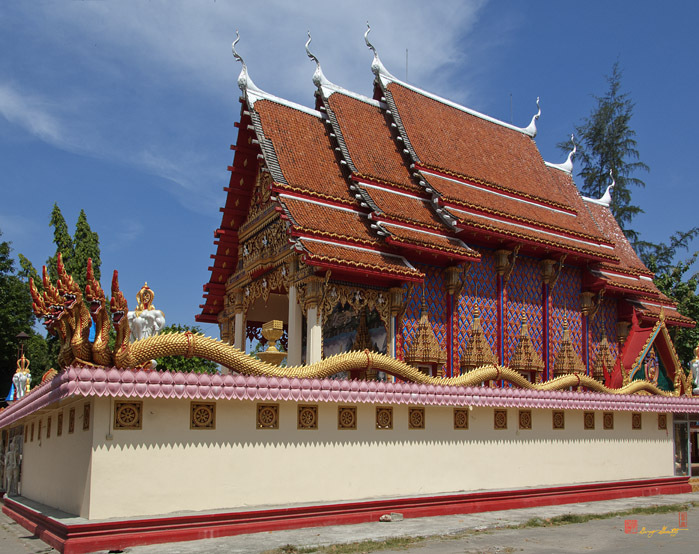 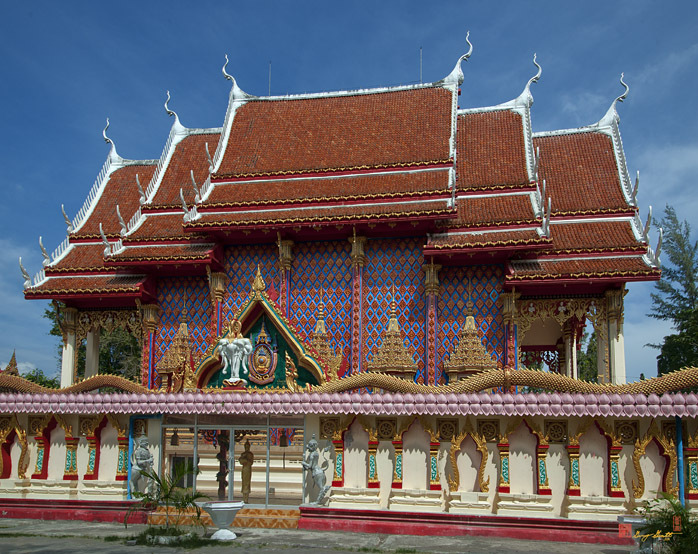 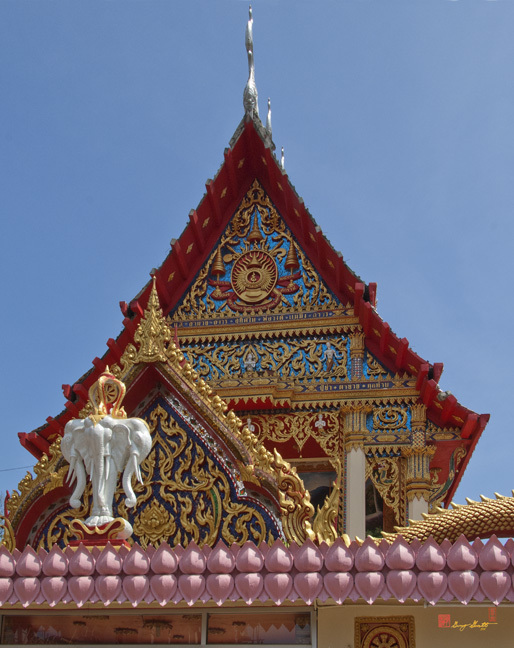 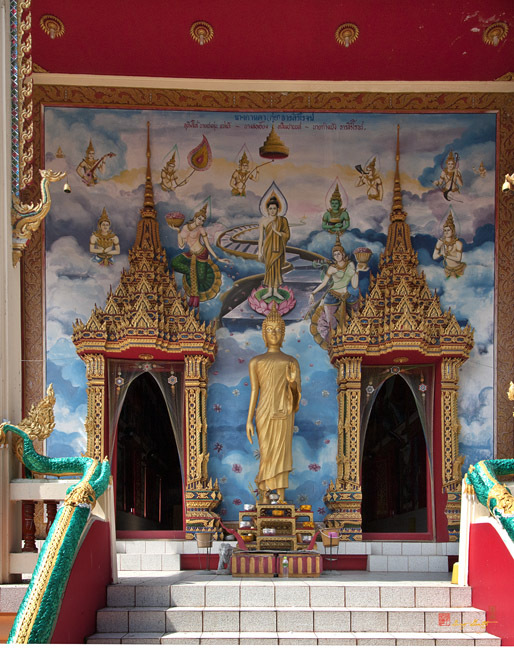 Wat Phra Nang Sang is the oldest temple in Phuket and dates back more than 200 years. 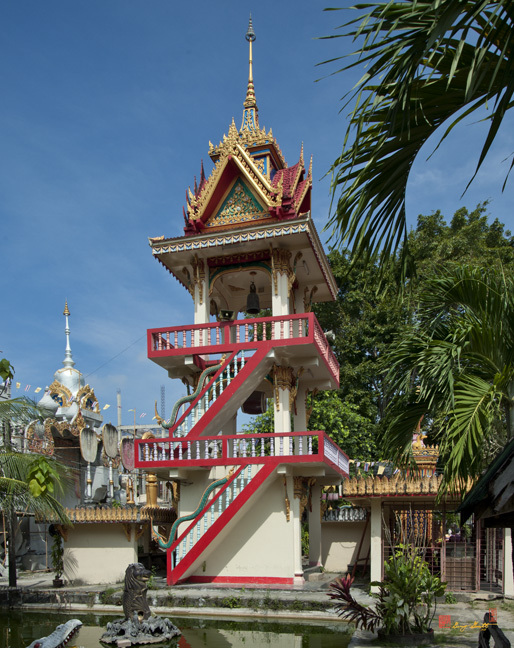 Legend has it that this temple was built by Phranang Lueatkhao, wife of a ruler, who was accused of adultry with a royal page. 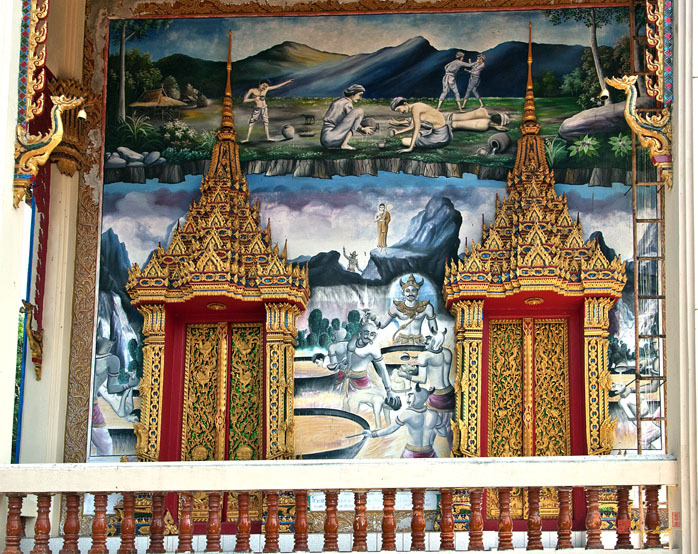 She was sentenced to death despite the fact that she was innocent. 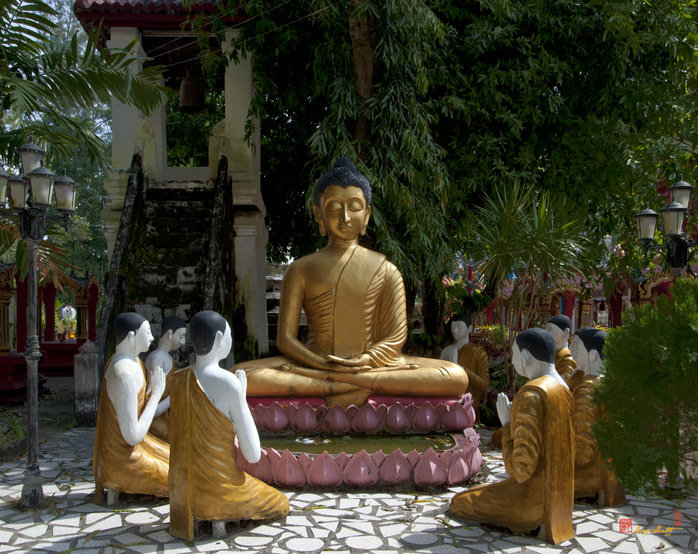 As a consistent patron of Buddhism, her last request was to be given the chance to pay respect to a relic of the Buddha located in Sri Lanka. 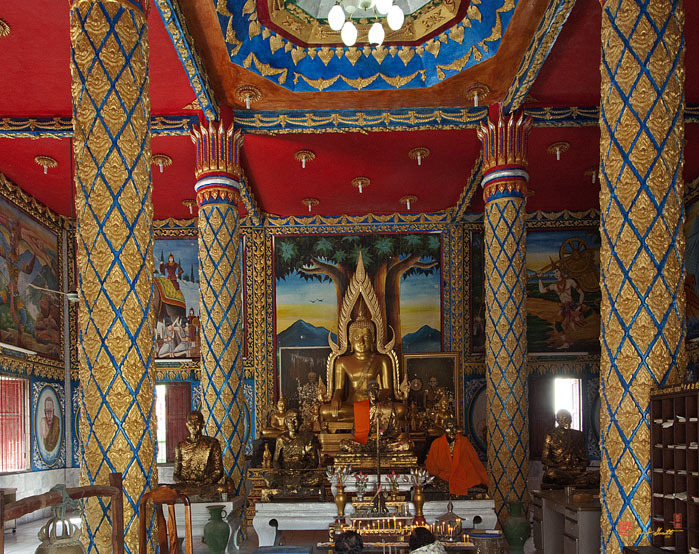 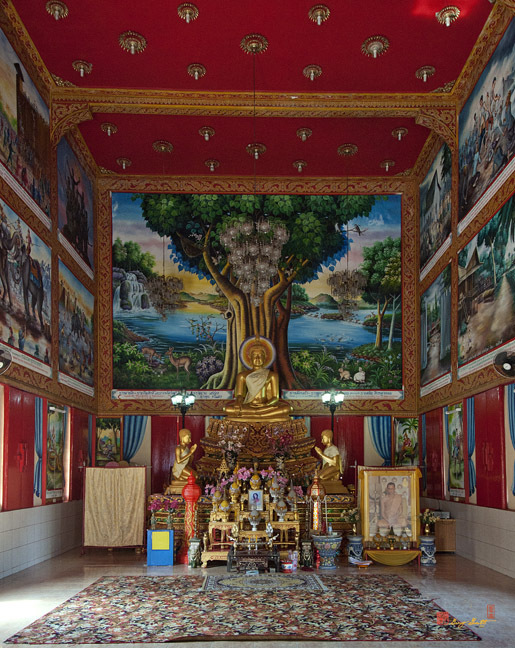 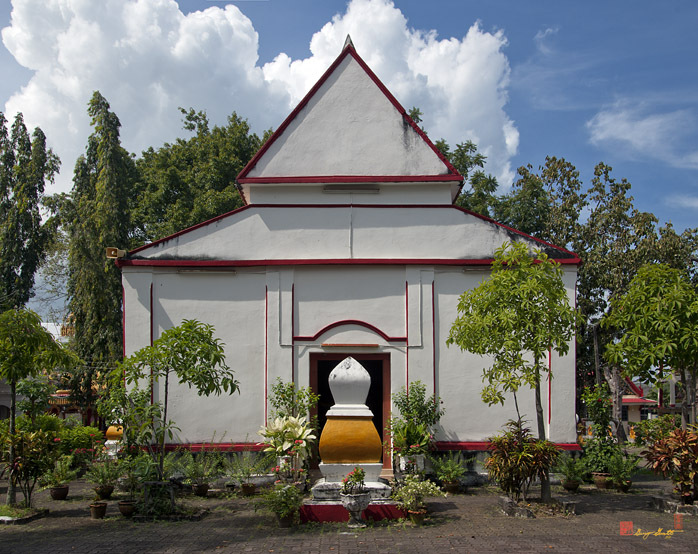 On her way back, she stopped at Thalang and built a temple, grew plants, and had precious items buried there. 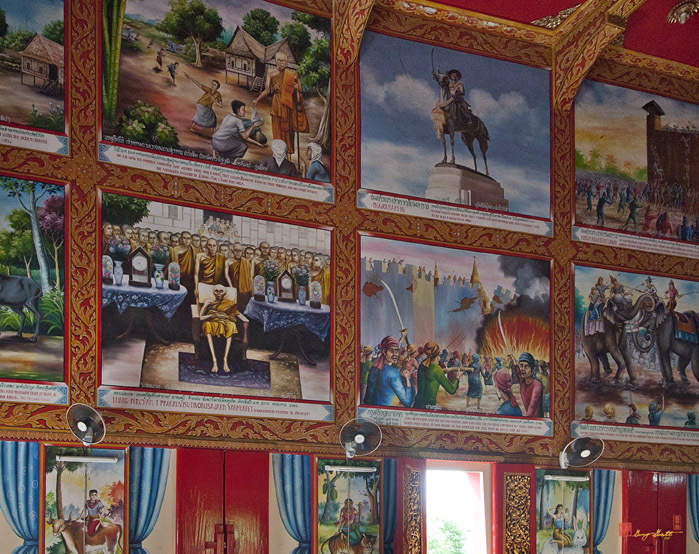 She was executed once she returned to the town of the ruler and bled white blood as a sign of her good deeds and innocence. 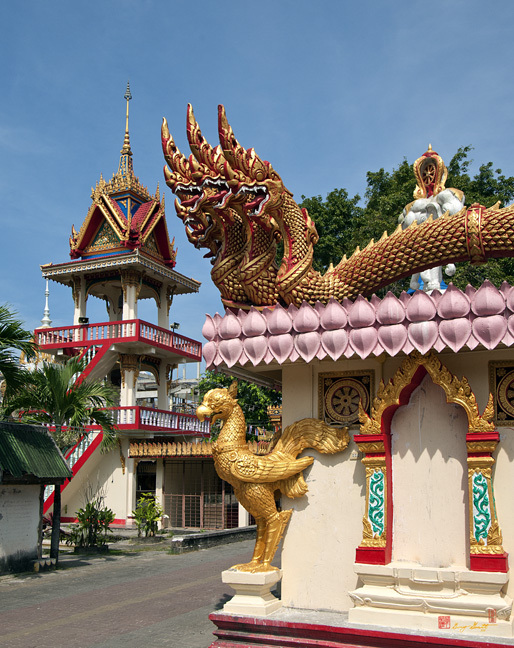 She became known as Phranang Lueatkhao, or Queen White Blood, and the temple she built in Thalang was called Wat Phranang Sang. 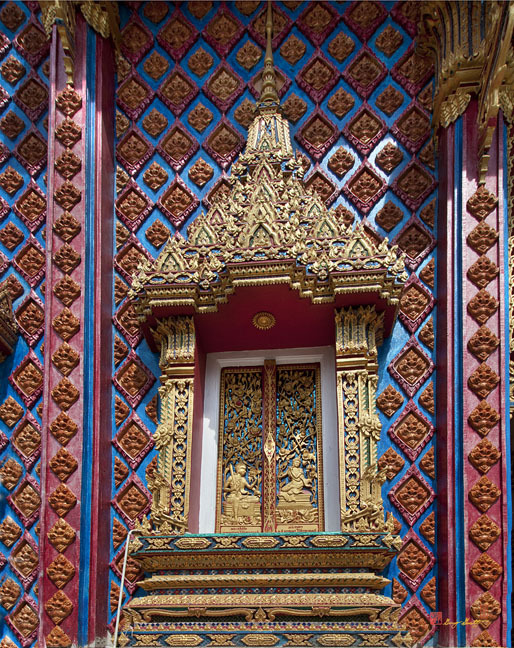 'Sang' is a Thai word for 'to build'. 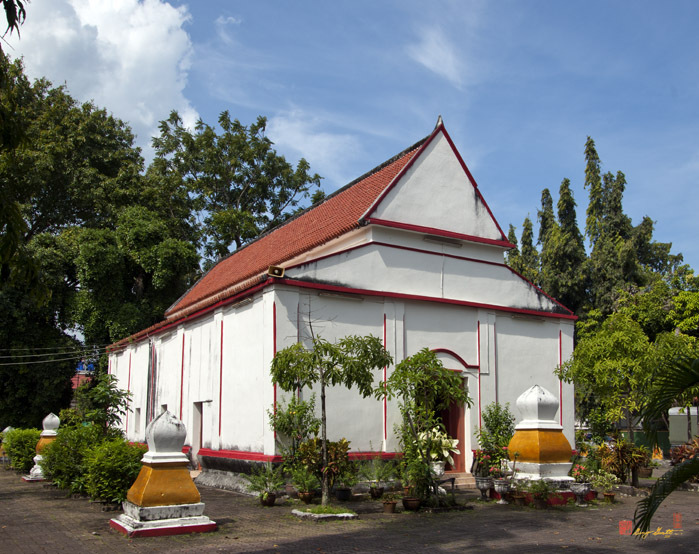 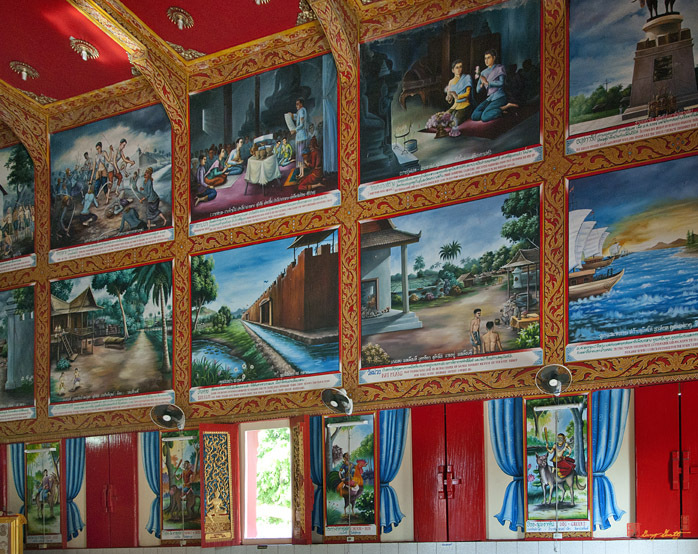 According to history, there was a battle in Thalang in 1785 (B.E. 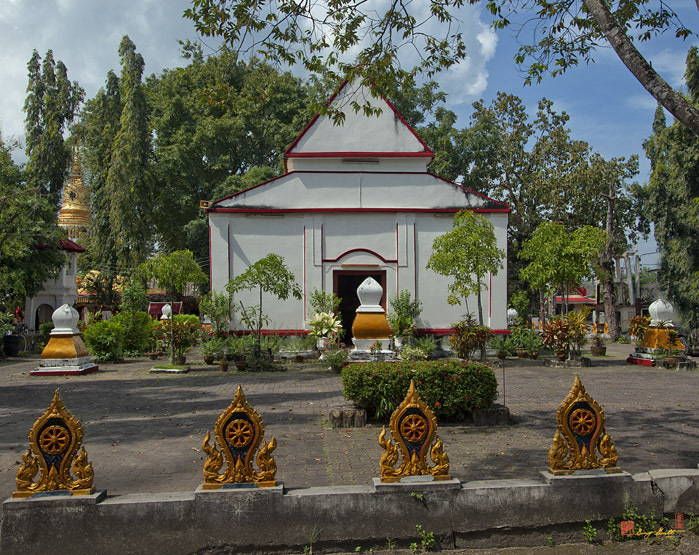 2328). 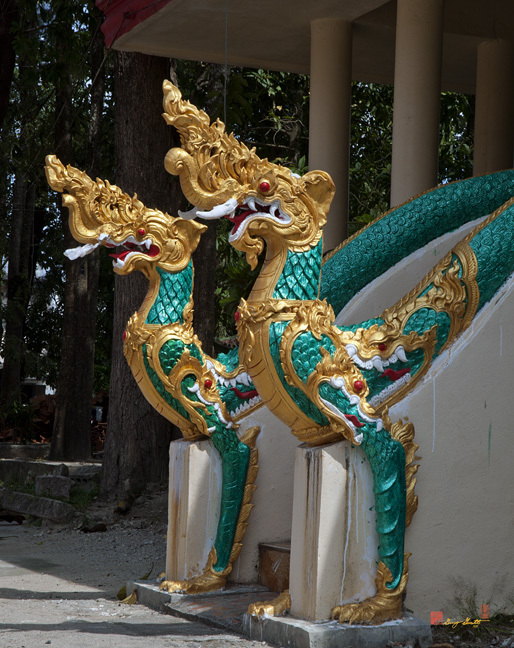 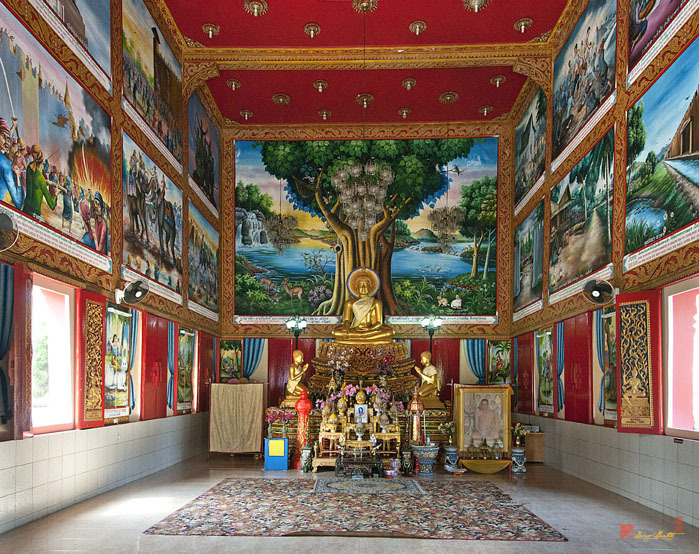 Wat Phranang Sang was used as a stronghold for Thai soldiers in the fighting with the invading Burmese troops. 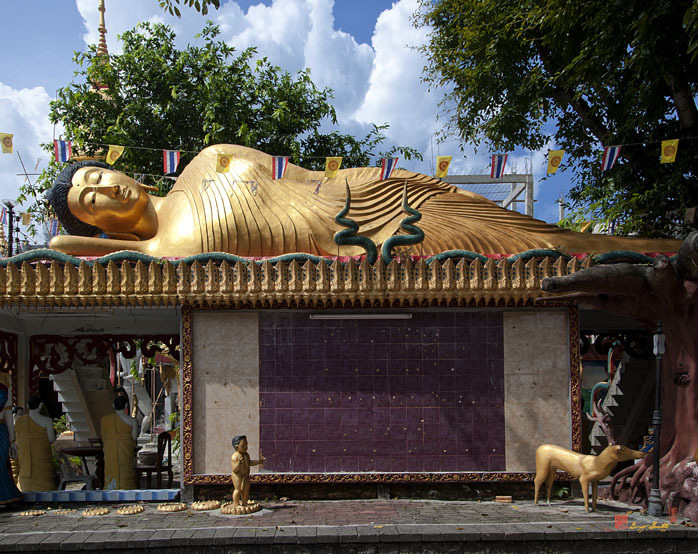 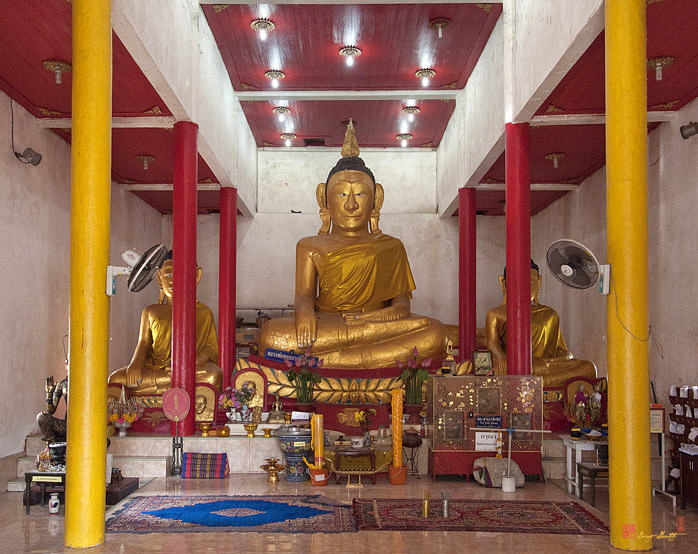 Also, the temple's Phra Ubosot houses the world's largest tin Buddha image which contains 3 smaller Buddha images known as "Phra Nai Phung", (Buddha in the Belly) or "Phra Sam Krasat".